It's the middle of the month, and that means it's time to get lucky with the latest collections, news, and sales at some of my favorite shops! Oh yes. 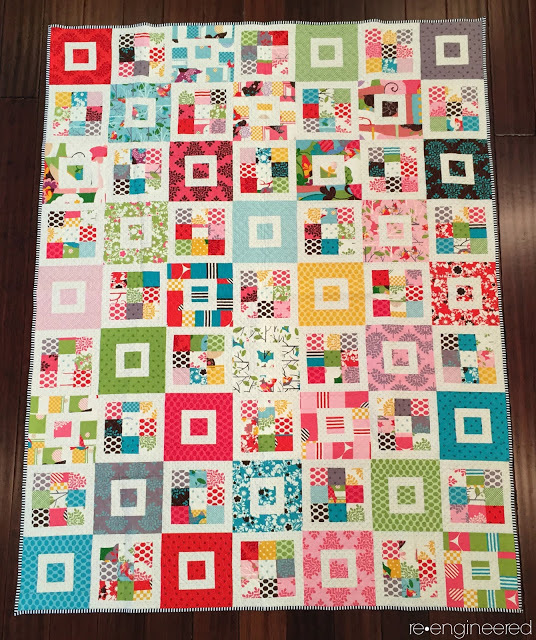 This post definitely includes a giveaway as well, so read on, my friends! Let's kick off with something fitting for the holiday at hand, shall we? 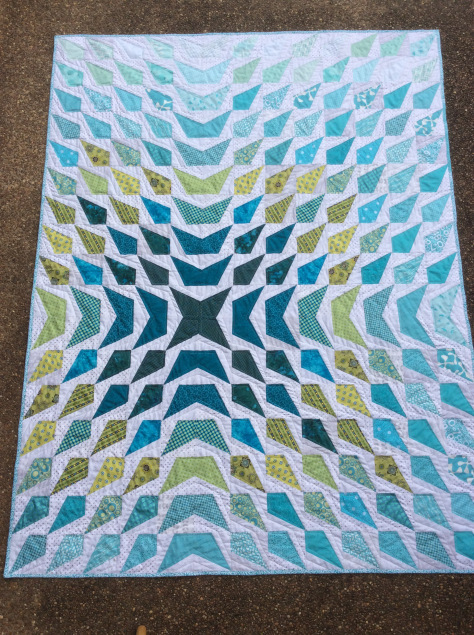 Jodie at Fort Worth Fabric Studio has put together two bundles in honor of St. Patrick's Day that are really great stash builders. As a lover of all things green, you know I am having a hard time resisting that emerald Lucky Charmers bundle, but at just over $10 for five FQ's, I feel absolutely no guilt in giving in. 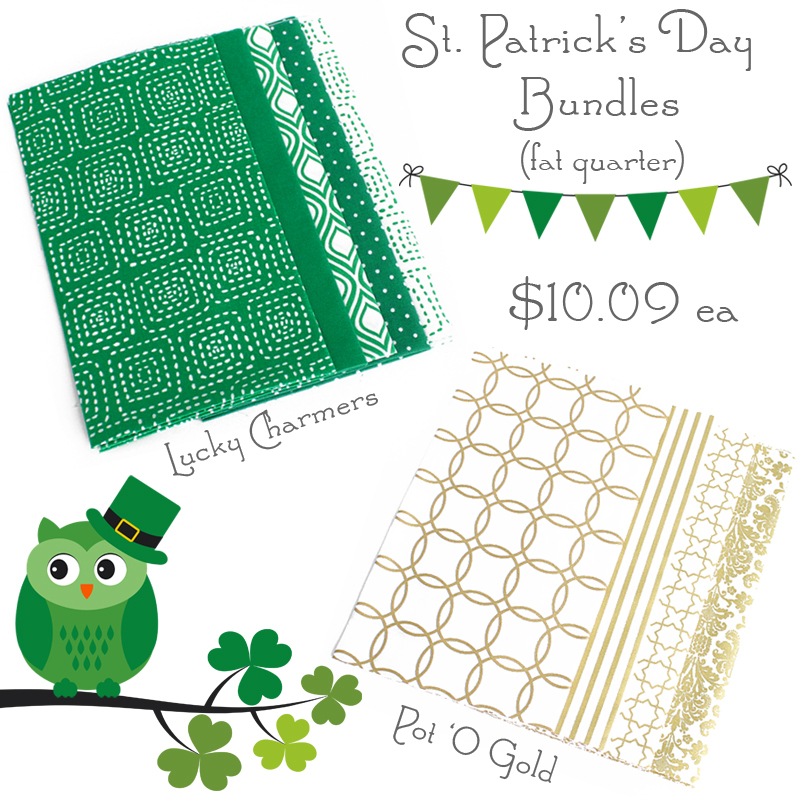 The other bundle is called Pot 'O Gold, and is a fun mix of metallic gold fabrics- so fun! Check them out! 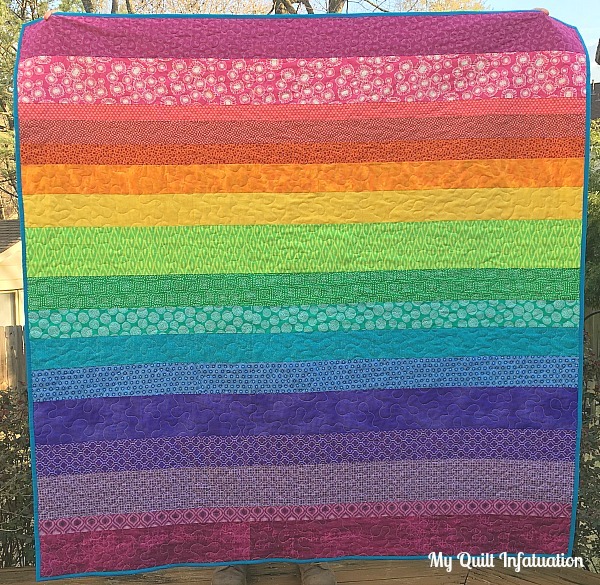 If you're looking to build up your stash, (and honestly, aren't we always?) 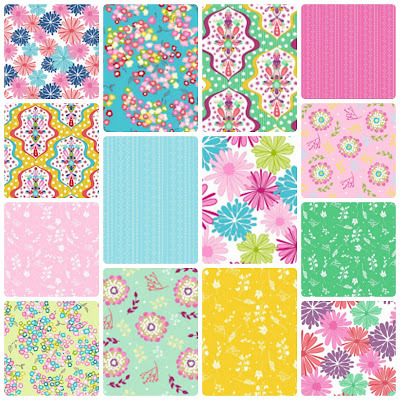 then you definitely won't want to miss the HUGE Spring Sale going on at Five Monkey Fabrics. 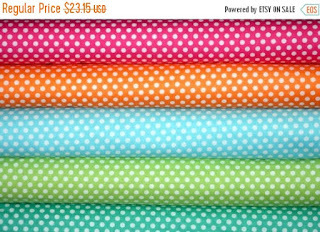 I absolutely cannot resist chevrons and polkadots. 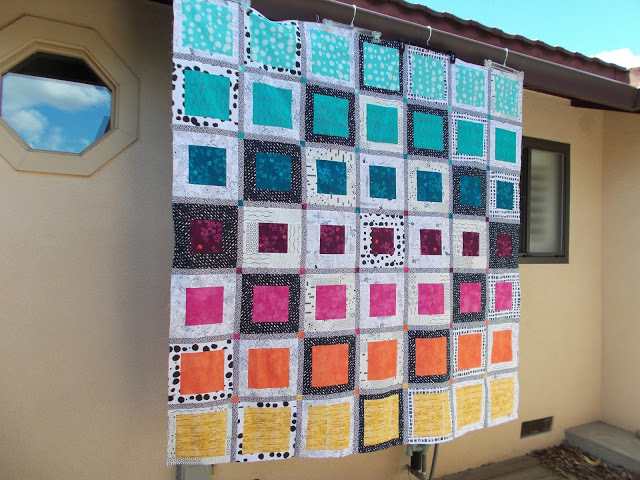 I think they work in almost every quilt, and there are so many variations of color, size, etc. that they are really fun to use. 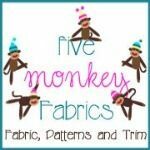 Five Monkey Fabric's selection of these basics, as well as a whole lot of other fabrics, is excellent, and when they're on sale, they're hard to beat! 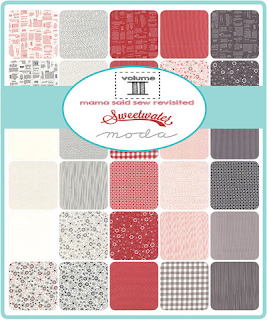 Tons of fabrics are available on sale in bundles, or as yardage, so you can get exactly what you need. FYI- the term "need" is used very loosely around here, ha! The sale ends on Sunday, 3/20, so don't miss out! 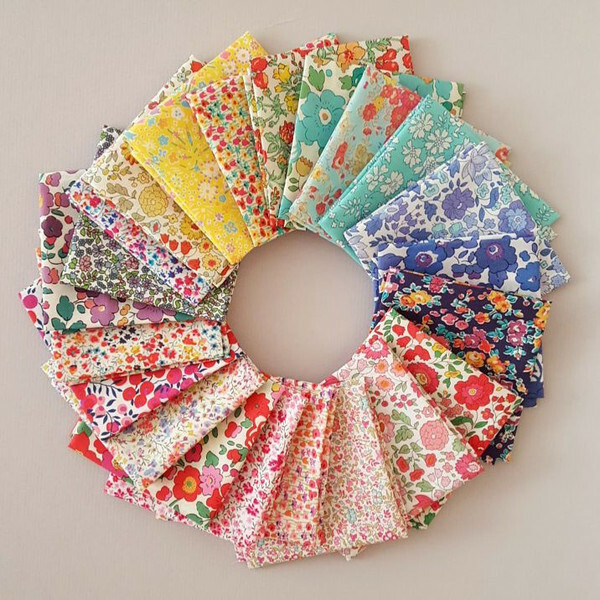 LouLou's Fabric Shop has some great happenings as well, including the arrival of a few new collections. 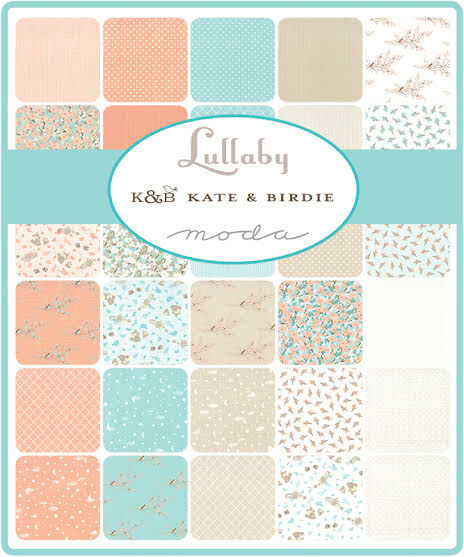 The Lullaby collection by Kate and Birdie is so sweet, as well as Mama Said Sew Volume II by Sweetwater. They've also added several collections that are now available for preorder, and you can save 10% anytime on those with the code preorder. Right now though, LouLou's is having a special sale for St. Patrick's Day! You can save 17% on your entire order (excluding preorders and sale items) with the code stpat17 today through Saturday, 3/19 only. Lady Belle Fabrics always has some drool-worthy fabrics and bundles, and this month is no exception. 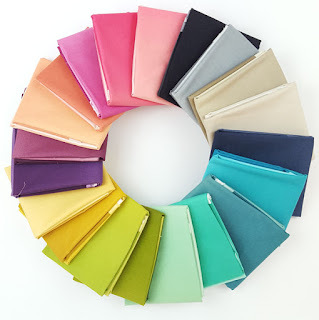 Just look at this bundle of V and Co.'s Ombre fabrics! Oh my goodness. So gorgeous! 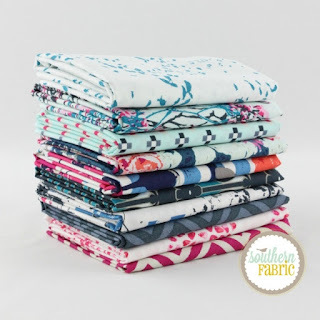 There are several other bundles on sale right now as well, including Tula Pink's Chipper, Fleet and Flourish, and this bundle that I have been eyeing for awhile. Yes, my friends. 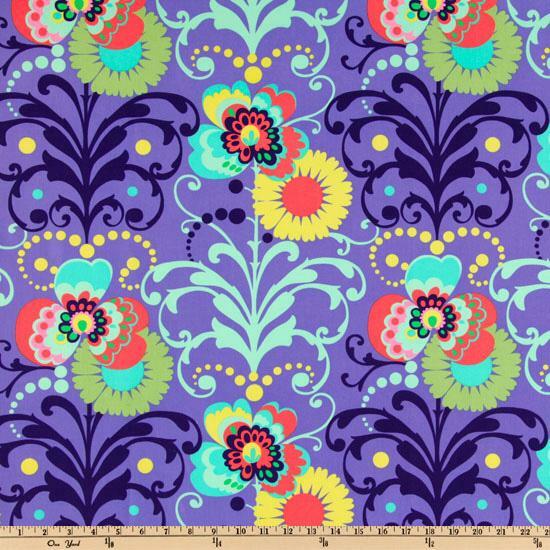 I think I am finally about to take the plunge into some Liberty Lawn fabric. We all know that this fabric is pretty expensive, but I love that Lady Belle offers this bundle in sizes down to fat sixteenths (9" x 13"). That means that you can get a sampling of 22 delectable prints without breaking the bank. 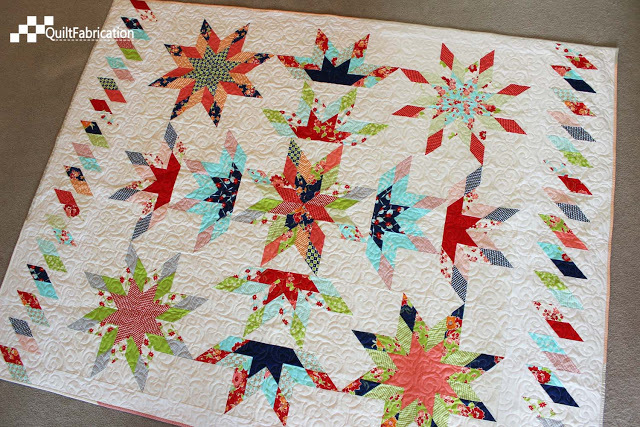 I don't know about you, but I think the internet has been instrumental in advancing quilting in recent years. There is SO much fantastic information available with a quick Google search, at any hour. And though I have experienced some wonderful paid classes online (and in shops as well for that matter), you can find a plethora of free tutorials out there as well. A perfect example is the Fat Quarter Shop's youtube channel. 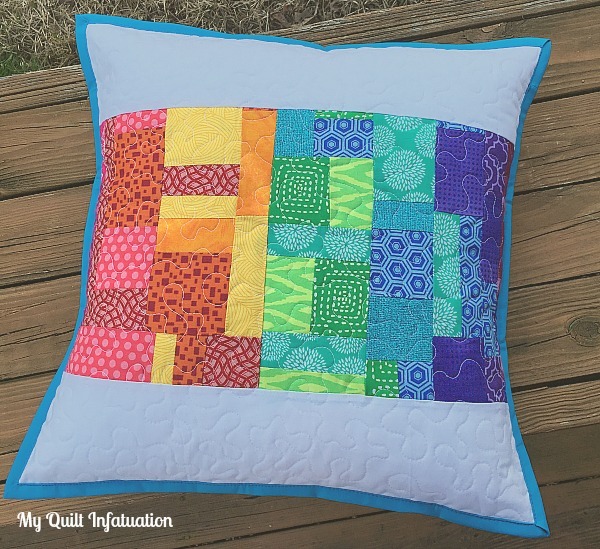 FQS has video tutorials on everything from basic how-to's, to quilt alongs on their channel, and they're fun to watch! 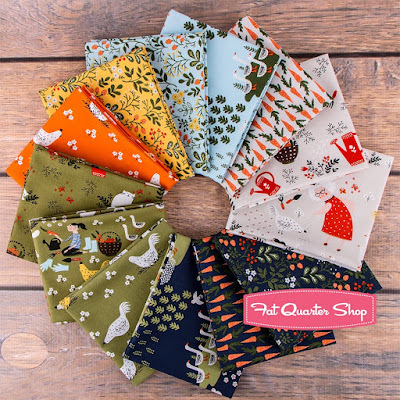 Fat Quarter Shop is also sponsoring a wonderful giveaway today, a fat quarter bundle of the Gardening collection, with 13 fat quarters. 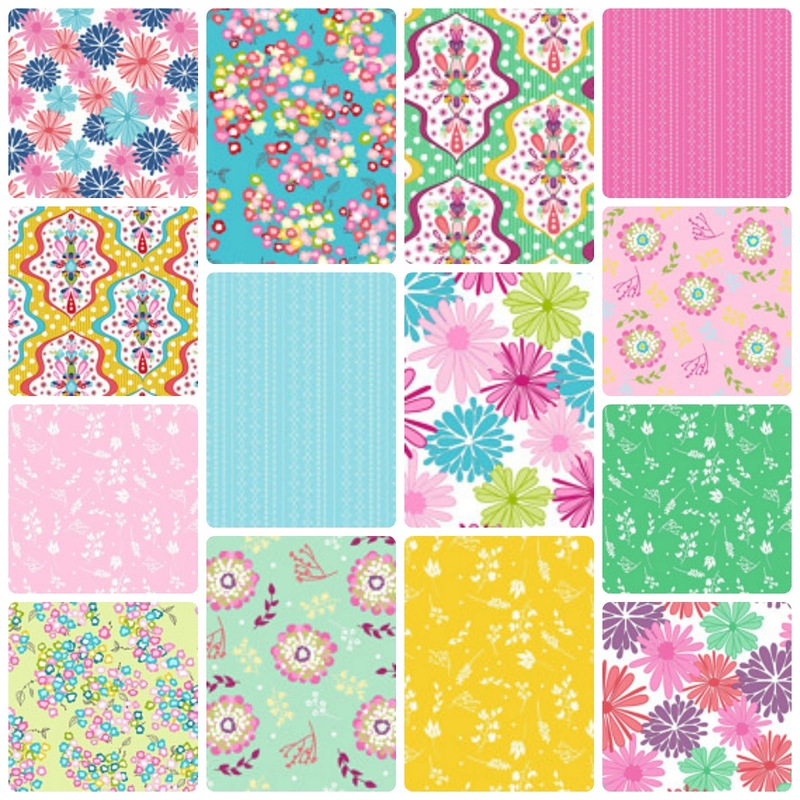 These cute prints just scream "spring"! 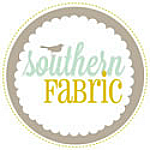 Southern Fabric always has beautiful fabrics at wonderful prices, with great customer service to boot! Right now, they have several new arrivals, and lots of new items on sale, including Kate Spain's Aria, as well as Skopelos and Glitz Garden, all available in bundles and yardage! 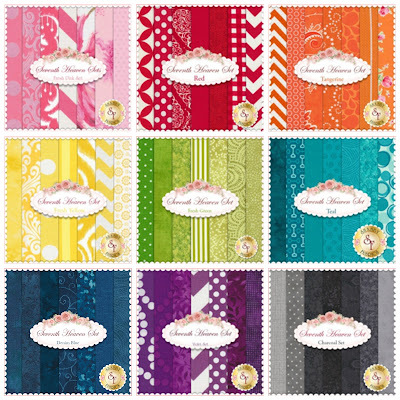 At Shabby Fabrics, my latest obsession are their Seventh Heaven bundles. 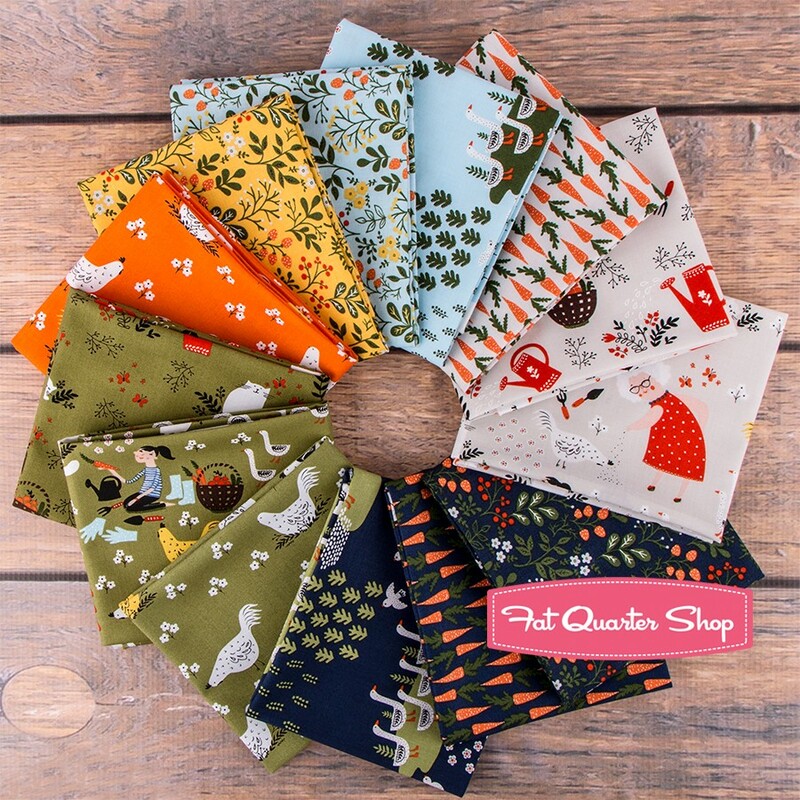 These are perfect little stash builders, containing seven FQ's each, and they are available in a gorgeous variety of colors. I've only pictured a few of my favorite groups here, but there are 25 different choices! And last, but certainly not least is Fabric Tree! 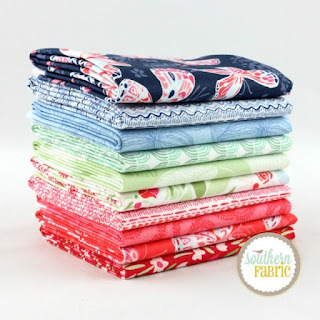 Fabric Tree's selection of fabrics may be smaller, but they certainly are beautiful, and with great prices and wonderful customer service, you should definitely check them out! 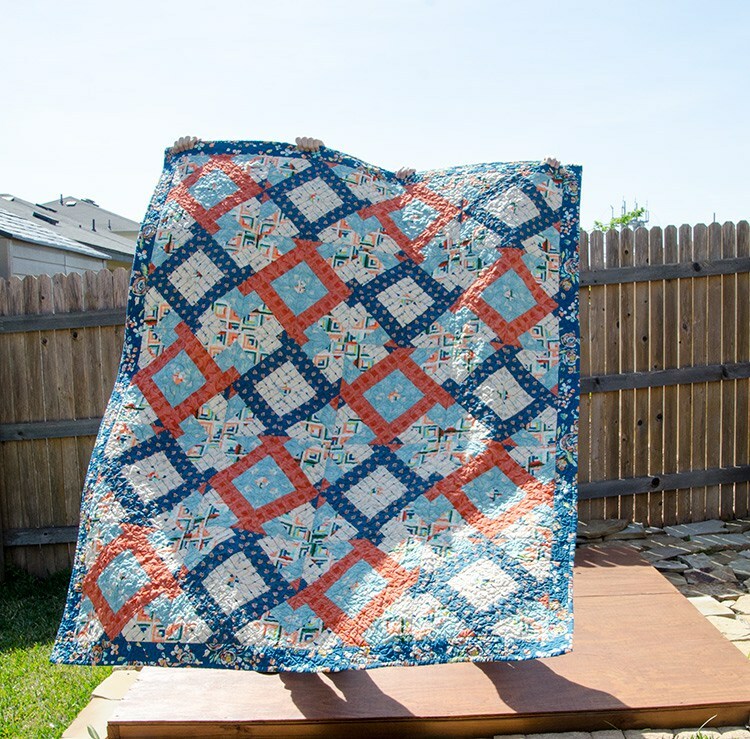 As an independent Etsy shop, they are also willing to put together custom orders for you. Just ask! 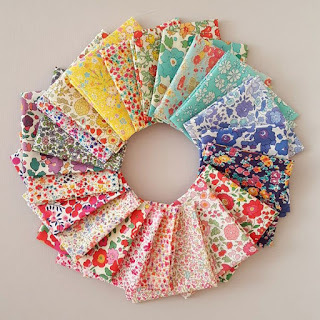 I am loving the Floriography collection by Riley Blake, and I think I'll be getting some of that soon! 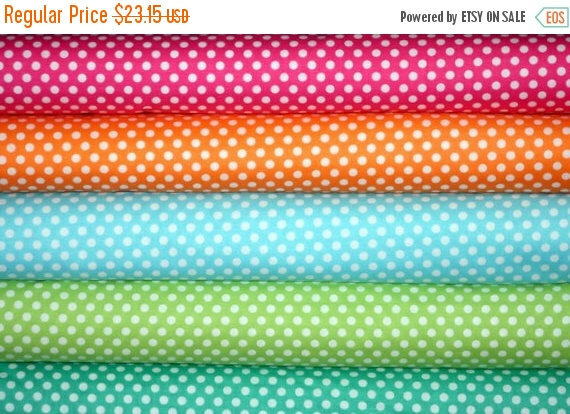 These fabrics are the perfect colors for the beginning of spring! Okie dokie, friends! 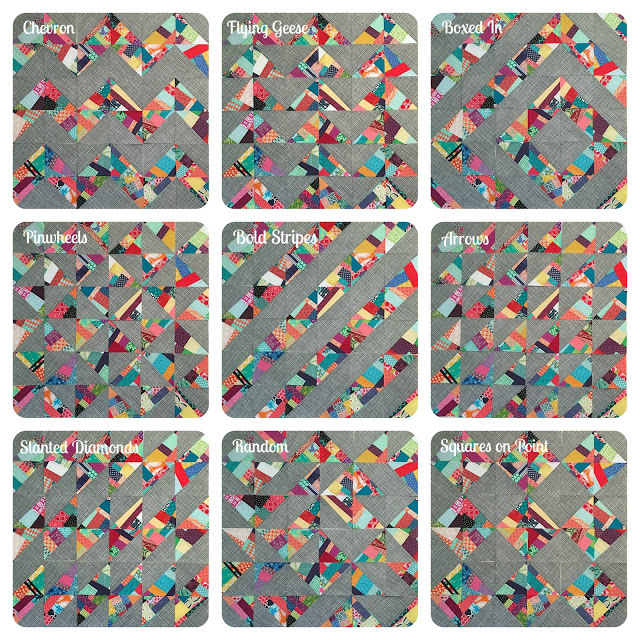 I hope you'll take some time to browse around my favorite fabric spots and take advantage of some of the amazing specials going on. Before you do that though, you'll want to take some time to enter today's giveaway! 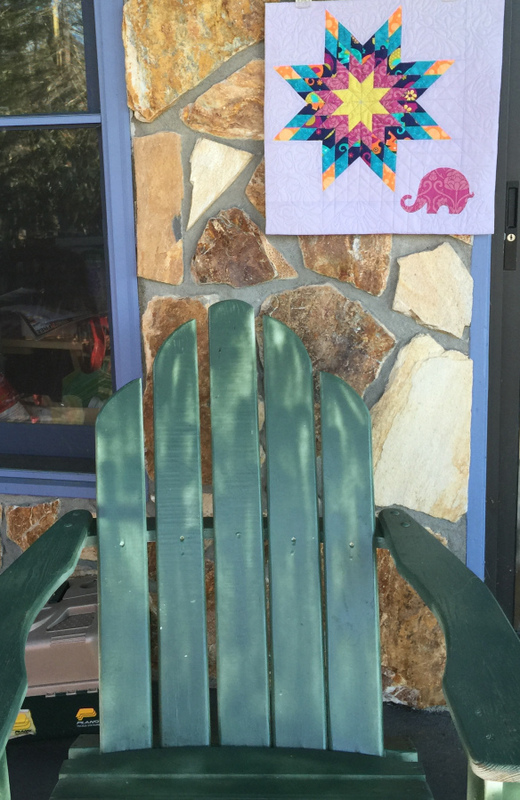 Just leave a comment on this post to let me know your favorite springtime activity. Remember to leave an email address if you're a no-reply blogger, and one entry per person please! Unfortunately, replies to your own comment counts as an entry (the system numbers those, too), so remember to put your email address in your comment. Additional replies/comments/entries are always deleted. I'll announce a winner at next week's NTT! 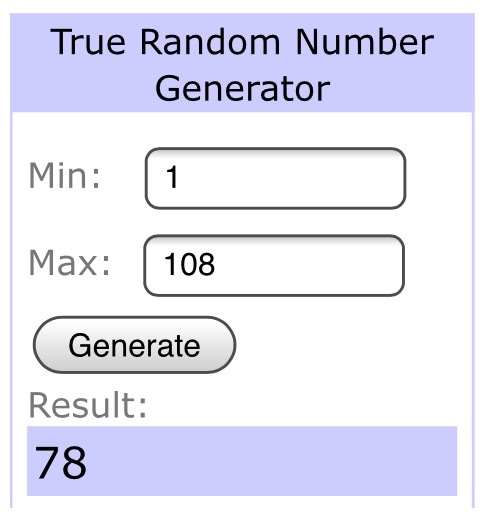 This giveaway is now closed. Watch for the winner at this evening's NTT! 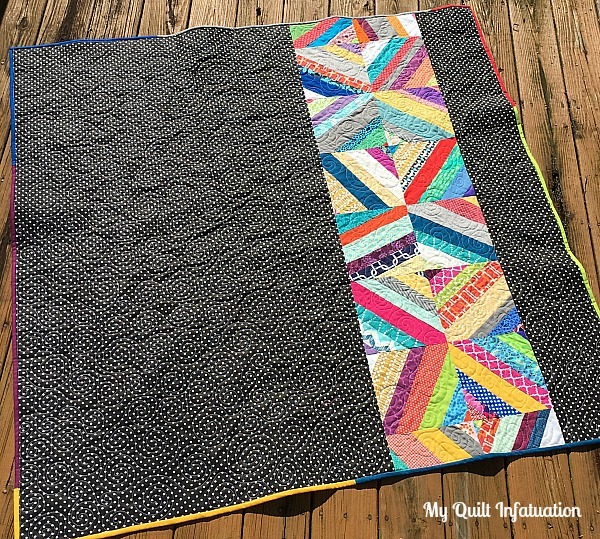 If you missed this one, be sure to subscribe to my posts with your favorite blog reader or through email, so you don't miss out next time. 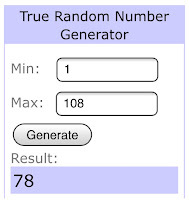 I host giveaways every single month! May the Luck 'O the Irish smile upon you! Happy stash building!